T-Mobile CEO John Legere is talking really fast convincing the FCC and the public that the proposed merger with Sprint should go through. T-Mobile and Sprint promised the FCC today that their proposed merger will lower costs for consumers and create more jobs. They also launched a website laying out the advantages of the New T-Mobile to the general public, including millions of iPhone users. Combining the third and fourth largest U.S. carriers is a controversial idea. Megamergers typically lead to higher costs for consumers and significant layoffs, not the opposite. It’s up to the two companies to convince the FCC that things will be different this time. The combination will be called T-Mobile, and will be headed by John Legere, T-Mobile’s current CEO. 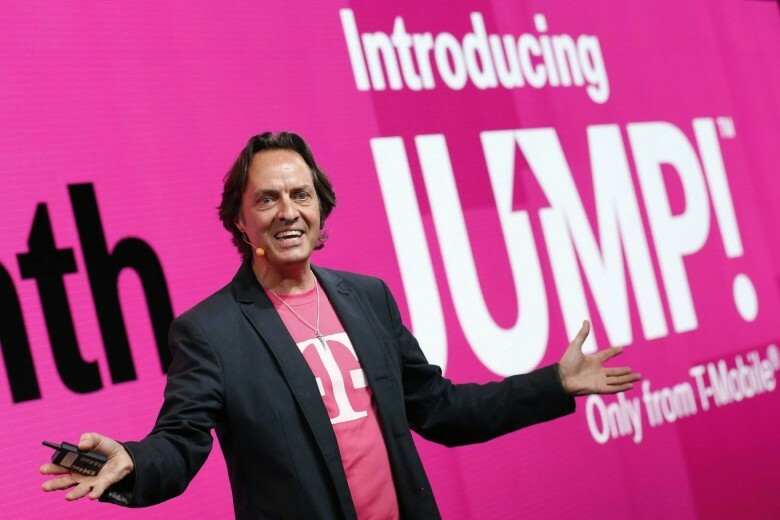 Legere is positioning the New T-Mobile as a stronger competitor to the “entrenched leaders of the wireless industry,” by which he means Verizon and AT&T, who have 33.8 percent and 30.9 percent of the U.S. market, respectively. The $59 billion deal is still just a proposal. T-Mobile and Sprint have to get their merger past government regulators. And this certainly won’t be a rubber stamp. Early in this decade, AT&T tried to buy T-Mobile but was blocked by the FCC and Department of Justice. History could easily repeat itself. In addition, T-Mobile and Sprint just debuted a new website trying to convince the public to support this merger. T-Mobile/Sprint are strongly emphasizing that together they can more quickly deploy 5G service. “New T-Mobile will be uniquely able to accelerate the country’s position and quickly deploy a broad and deep nationwide 5G network that will deliver unprecedented services and lower prices to consumers and businesses of all sizes across all parts of the U.S.,” promises the new website. Taking the number of nationwide carriers from four to three will, of course, reduce competition. This typically enables companies to charge more for their products, but Legere and company say the opposite will happen. “Our new 5G network will dramatically drive down the cost of delivering a gigabyte of data, while increasing the amount of data we can deliver, we plan to compete aggressively to drive down prices,” is the promise. This isn’t a promise that everyone who works for either of them will still have a job, though. Just that the total number will go up. There will likely be closures of redundant retail locations around the country.